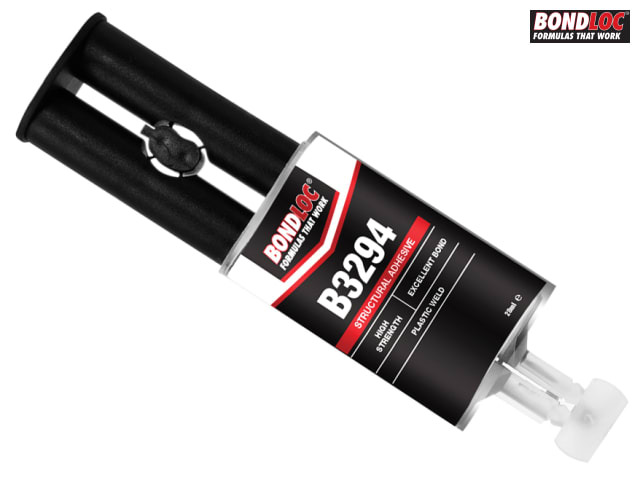 Bondloc B3294 is a toughened structural adhesive formulated for bonding dissimilar substrates as well as unprepared metals, ceramics, wood, concrete and standard thermoset plastics. 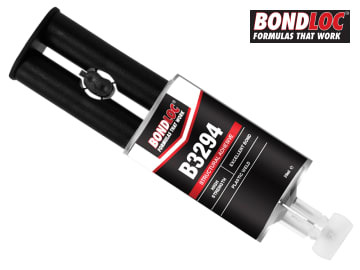 The final adhesive bond is designed to be load bearing and resistant to weathering, humidity and wide temperature variations. Outdoor weathering or solvent exposure thermoformed plastic assemblies, PVC, fibreglass, vinyls, ABS, steel aluminium, stainless steel, acrylics, phenolic, polycarbonate, styrenics, Noryl, PET, wood, concrete and ceramic magnet and speaker assembly. Open time: 3 mins @ 72°F, 22°C. Assembly time: 6 mins @ 72°F, 22°C.